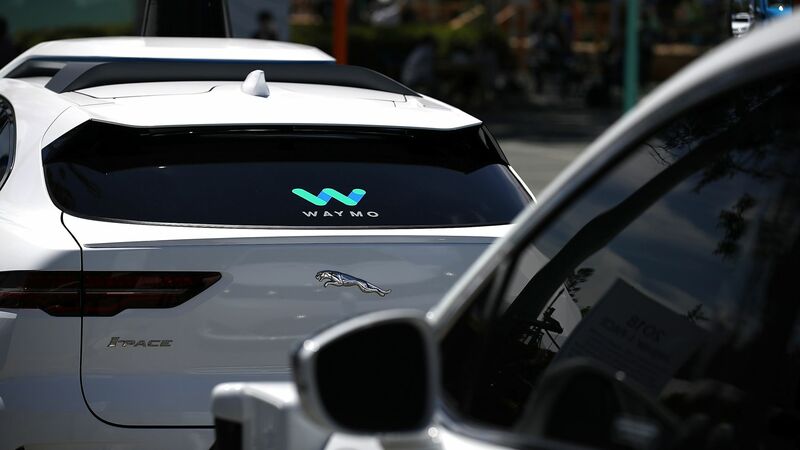 Waymo recently became the first AV company cleared to test vehicles without human safety drivers in California — which has far more congestion than Arizona, the only other state that has granted permits to driverless vehicles. Why it matters: As AVs make it onto the road, they will interact with human drivers, pedestrians, cyclists and other driverless cars, but there is no industry standard for how they should signal their driving intentions — or even an agreement that they'll have to. This problem has become all the more urgent as test deployments of truly driverless cars move forward. Where it stands: Automakers are experimenting with different ways that cars can communicate intention to drivers and pedestrians. Ford’s AVs have a screen on top of the windshield that blinks in various ways to signal their movements. Drive.ai is testing Nissan NV200 robotaxis in Dallas with LED screens on their sides that display text in English. Uber is exploring AV intention systems that could communicate to pedestrians using flashing lights, sounds and potentially a projection. Yes, but: Waymo, it's worth noting, has not equipped its cars with any special signals to communicate vehicle intent. It has instead focused on preparing its AI for the unpredictability of interactions with pedestrians. It remains to be seen how people will react to different AVs using different methods to signal intent (or to those that don't communicate at all). Different types of AVs themselves may ignore signals from one another, at least at first, because their development has not included extensive time driving alongside other AVs. What we're watching: The U.S. Department of Transportation has updated its guidelines for preparing for a future with AVs, which include recommendations for companies and local governments to educate people about AVs. Ford, meanwhile, is calling for AV companies, the International Organization for Standardization and the Society of Automotive Engineers International to collaborate on standards for AV communication. Sudha Jamthe is the CEO of IoTDisruptions and an AV Business instructor at Stanford Continuing Studies.